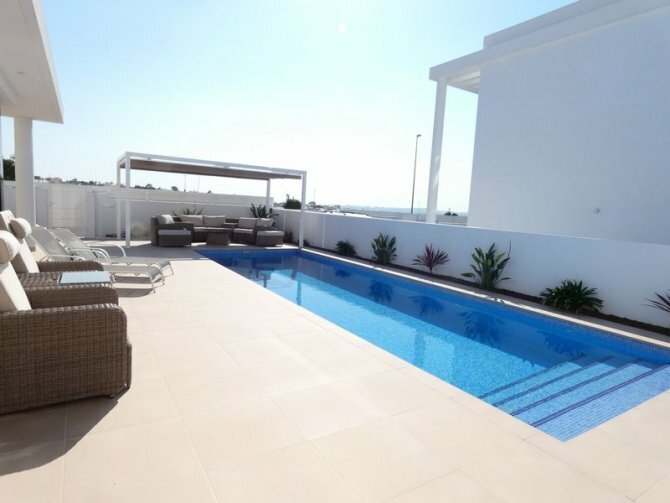 Welcome Properties are proud to present this stunning new build villa! 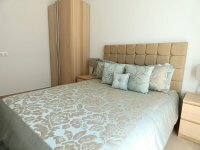 Only 2 years old and finished to the highest standard with so many luxury extras and offered fully furnished and ready to go! 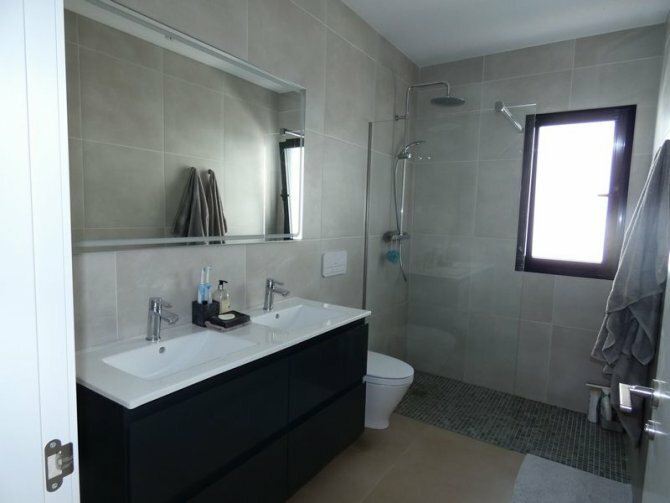 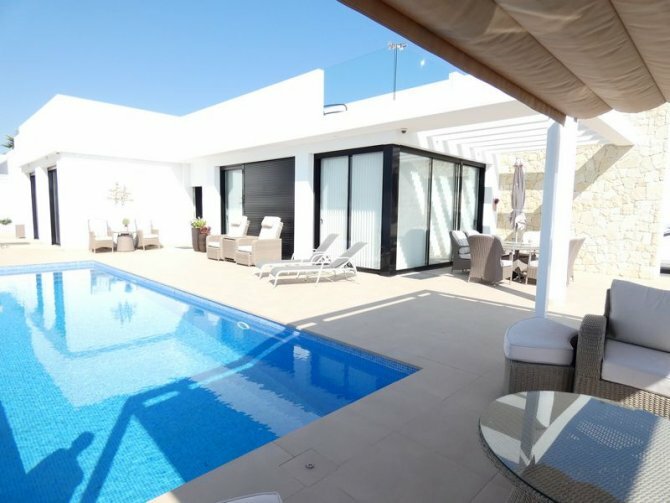 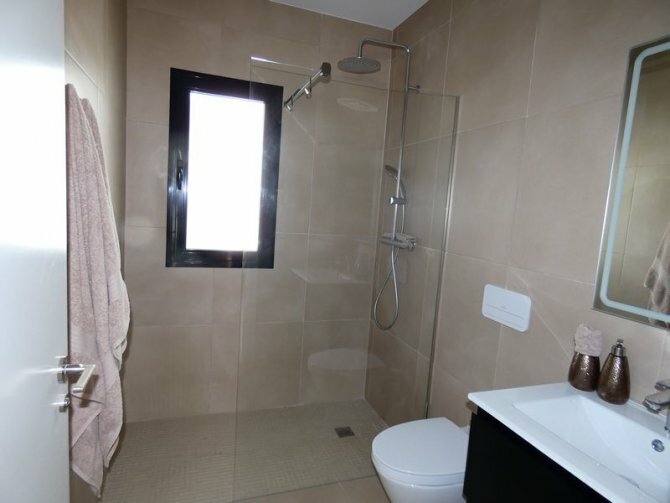 The property includes a bespoke, modern, and luxurious kitchen, fully integrated and computer programmed air-conditioning and heating system including underfloor heating throughout the house, an outside toilet (so you do not need to come into the house wet from the swimming pool! 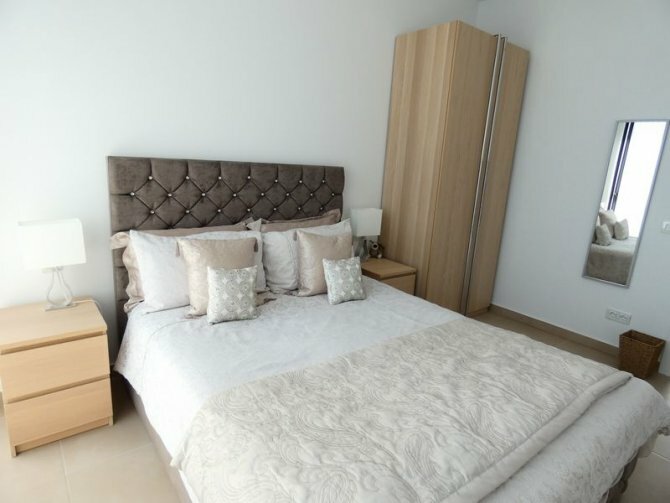 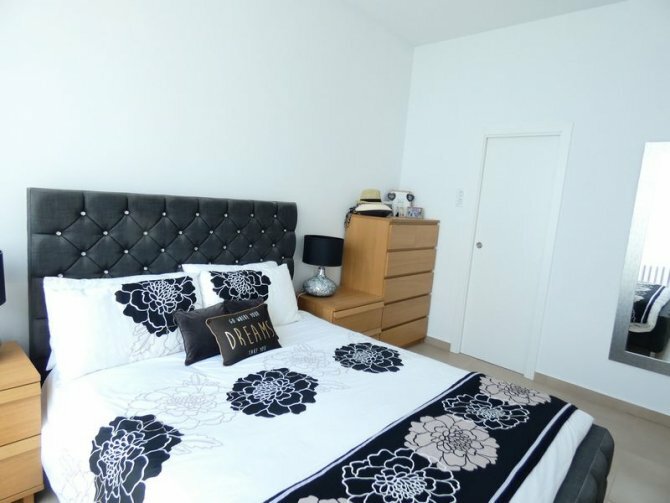 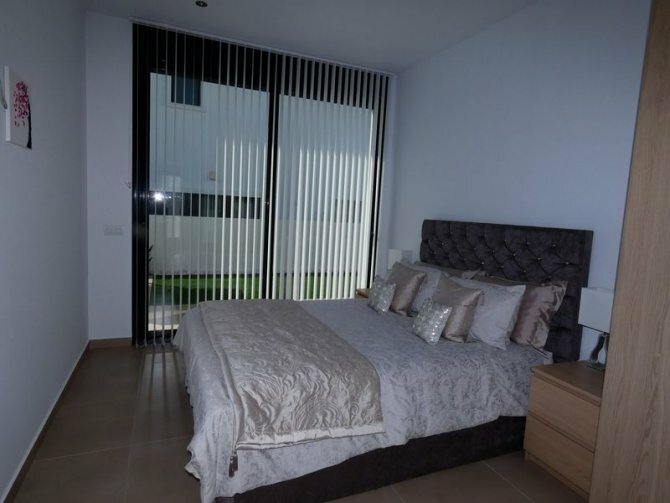 ), huge walk-in, fully fitted wardrobe in the master suite, electric shutters on all of the picture windows to control light, heat and security and so much more! 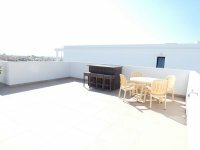 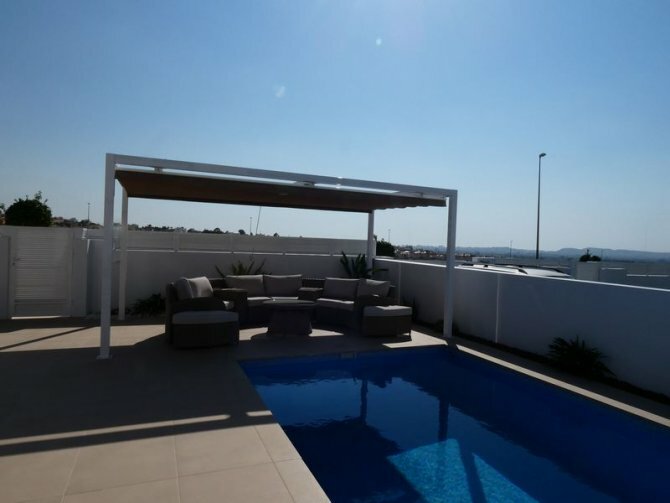 When you walk onto the plot the first thing you see is the huge swimming pool (32 m2) and the lovely seating and lounge areas on this 500 square meter plot. 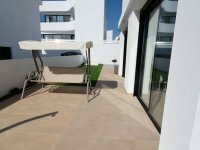 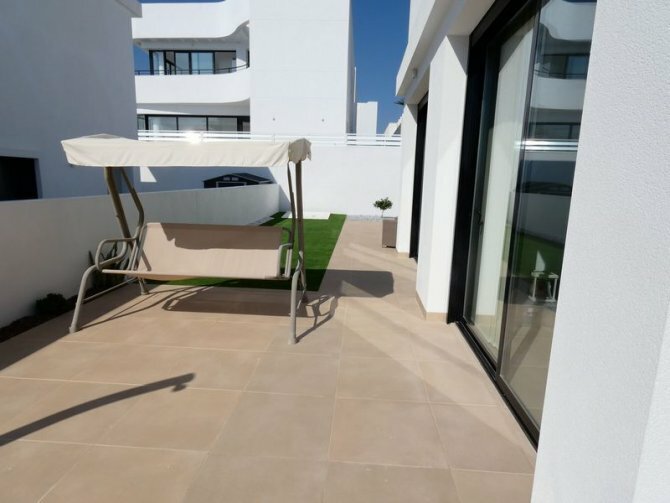 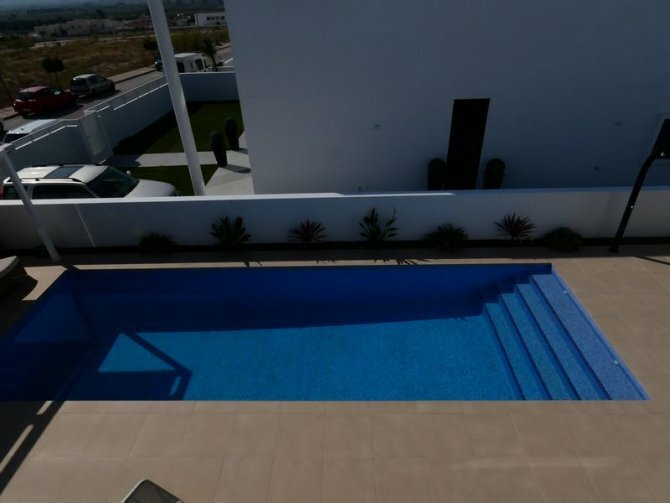 The swimming pool is made to a modern design surrounded by beige, non-slip tiling and has a state of the art solar powered shower for hot water! 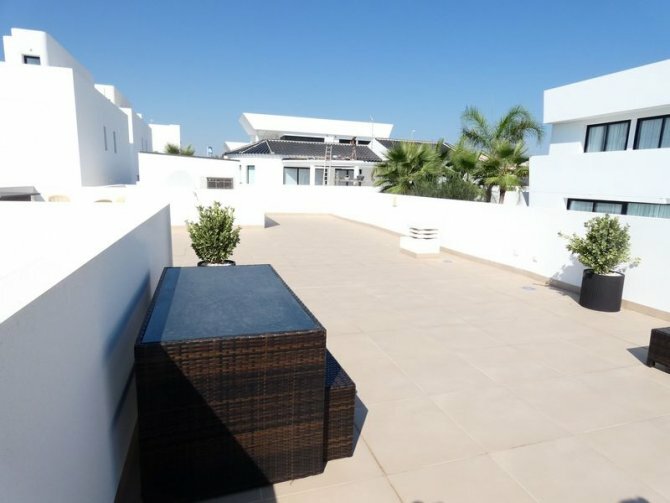 Next to the pool there’s a beautiful seating area, to sit and relax. 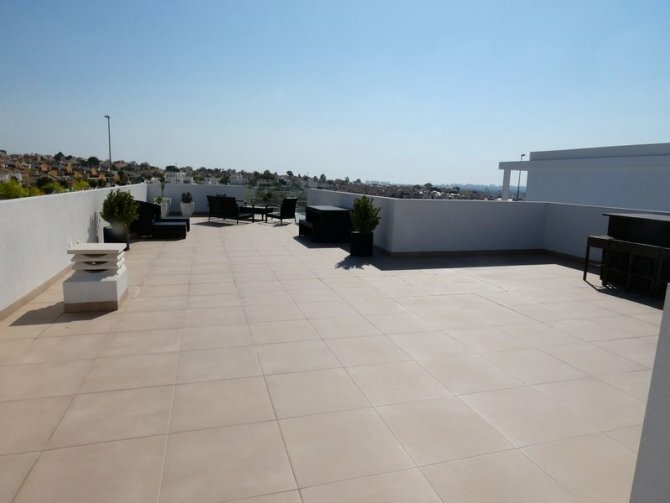 And a terrace off the living room, ideal for "al fresco" dining. 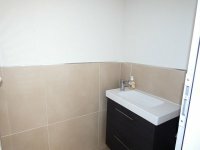 The property is low maintenance with non-slip tiling surrounding the house, pretty planted borders and artificial grass. 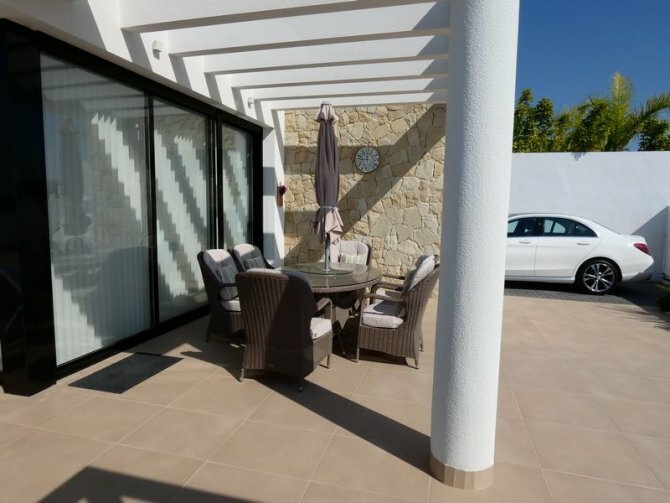 The huge roof solarium is accessed by stairs at the rear of the house. 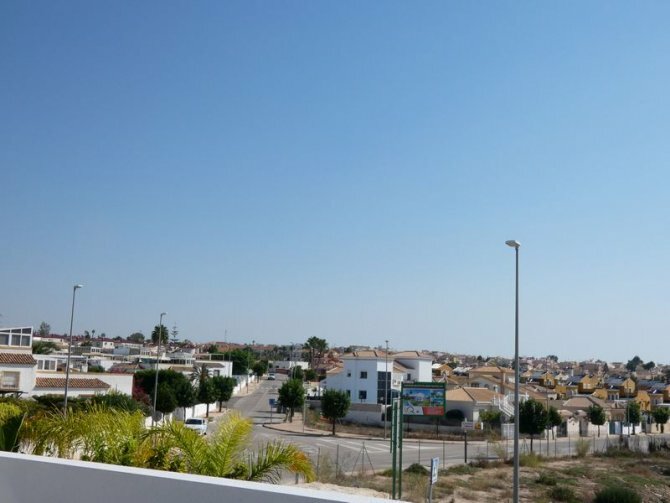 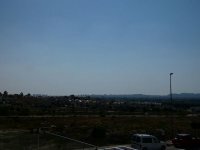 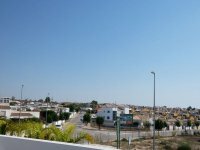 Here you can enjoy fantastic views over La Marina and Guardamar del Segura while enjoying the sunshine all day long. Its an amazing space for entertaining as well. 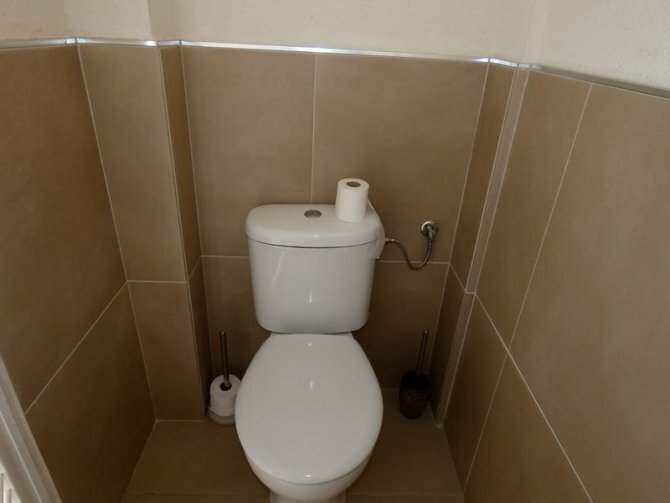 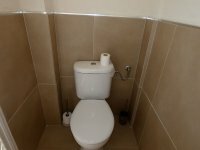 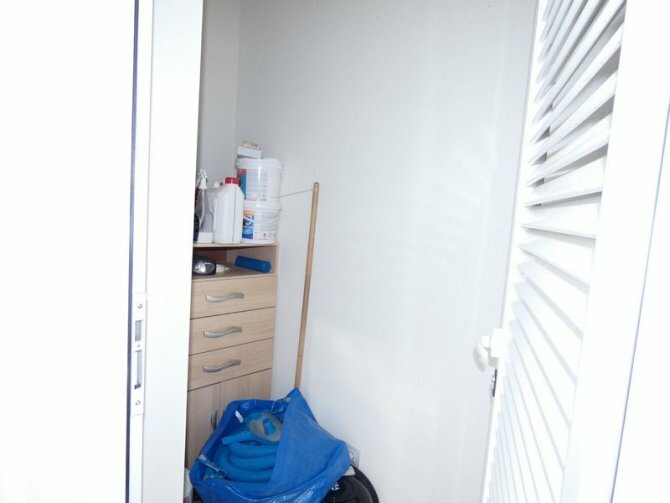 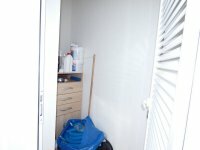 In addition to the outside toilet, theres a large external storage cupboard and a huge “Keter” shed - really useful for extra storage. 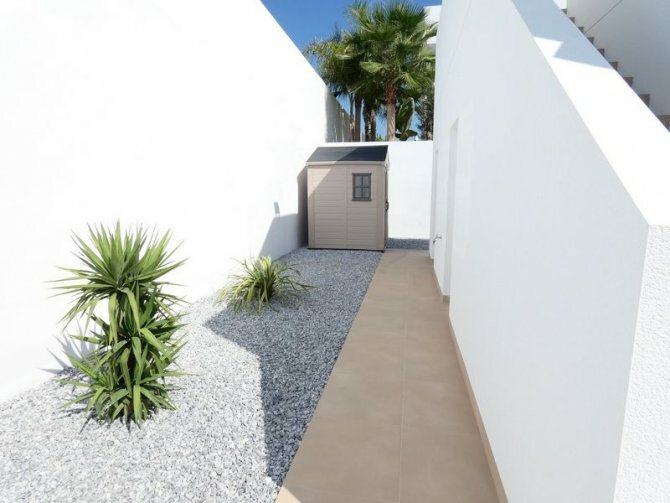 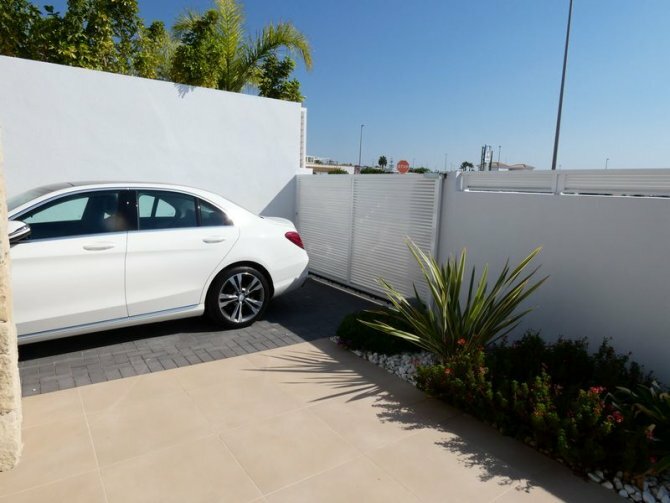 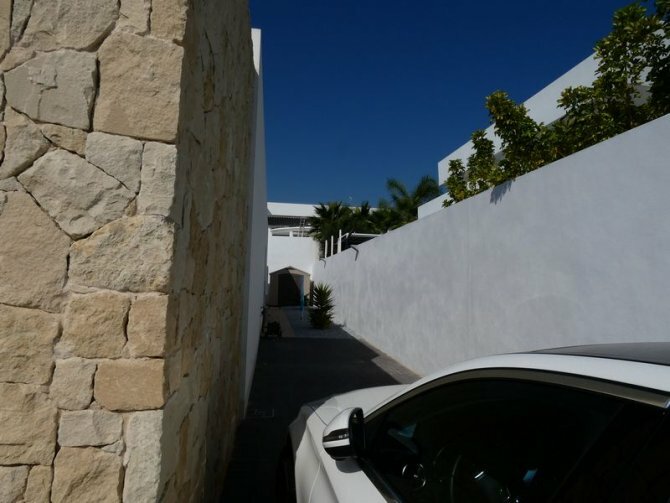 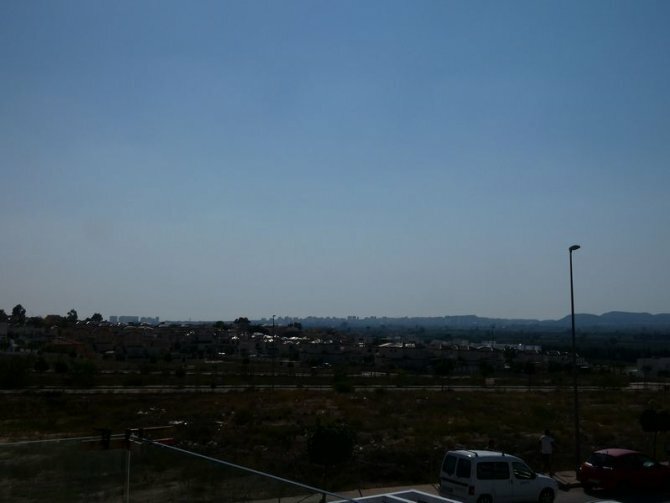 The property also benefits from secure off-road parking for at least 2 cars on the block-paved double length driveway which is accessed from the automatic electric gates, and theres a security inter-com system for the pedestrian access gate. 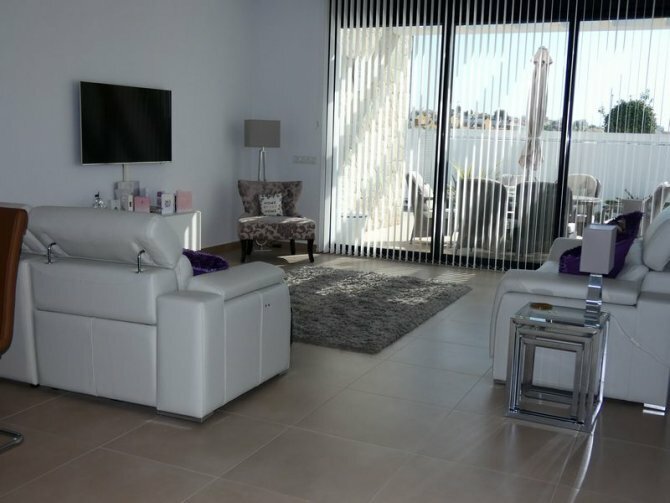 When you enter the property through the front security door, you walk into a very spacious open plan lounge-dining room, with wall to wall, floor to ceiling picture windows/sliding doors giving direct access to the outside eating, lounge and pool spaces. 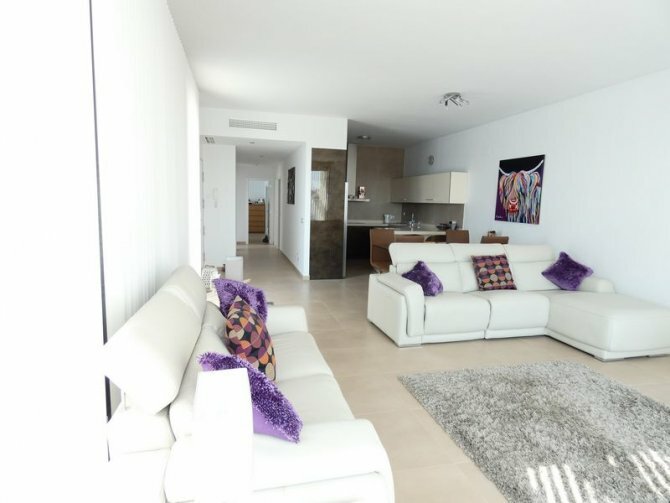 This gives the area a very bright and airy feeling. 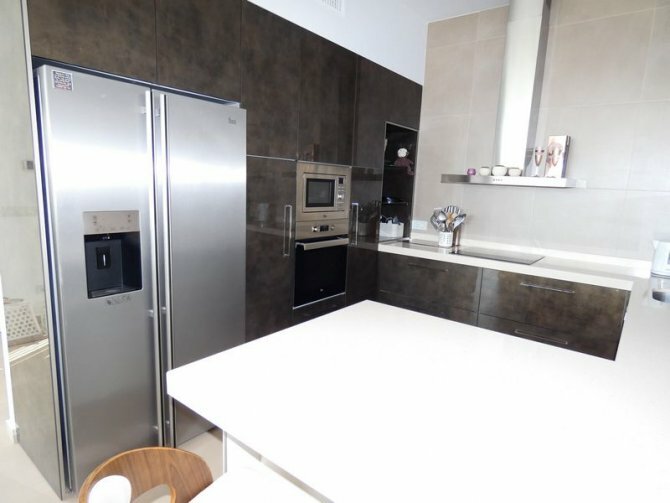 An eye-catcher is the wonderful, bespoke kitchen with state of the art appliances, silestone worktops and high end cupboards with lots of space. 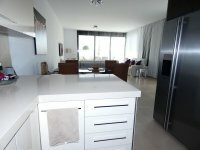 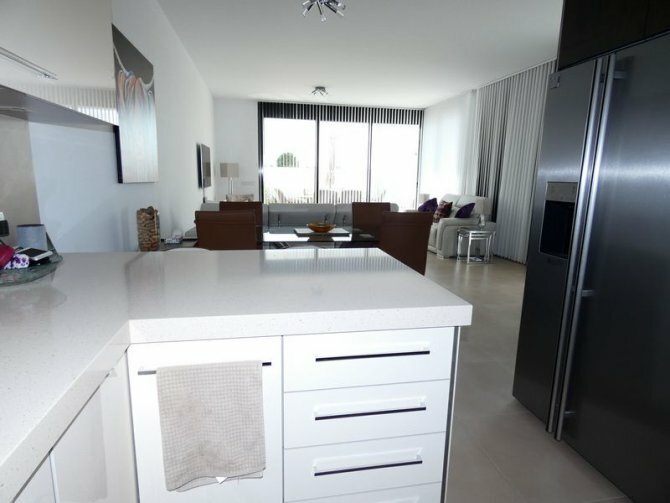 Theres an integrated dishwasher, microwave and oven and a huge American-style fridge-freezer. 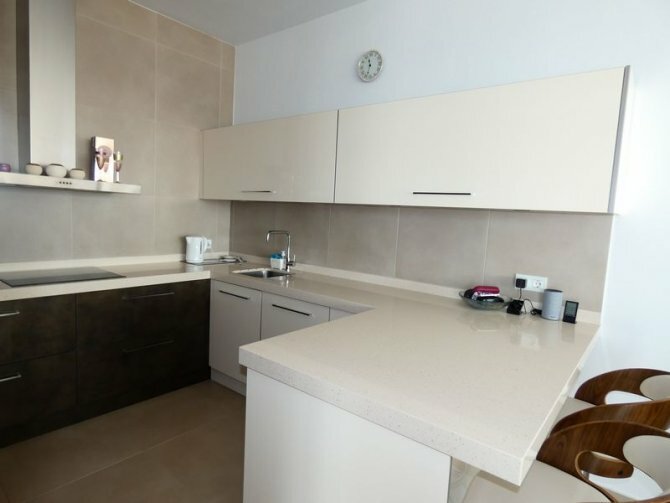 The kitchen also benefits from integrated lighting beneath the wall cupboards, adding to the luxurious feel. Along the wide open hallway, there are 3 very large double bedrooms and the family bathroom. The bedrooms all have floor to ceiling sliding doors to access the garden and electric shutters. The master bedroom benefits from a large walk-in wardrobe and a fully tiled en-suite bathroom with large walk-in shower and double sinks. 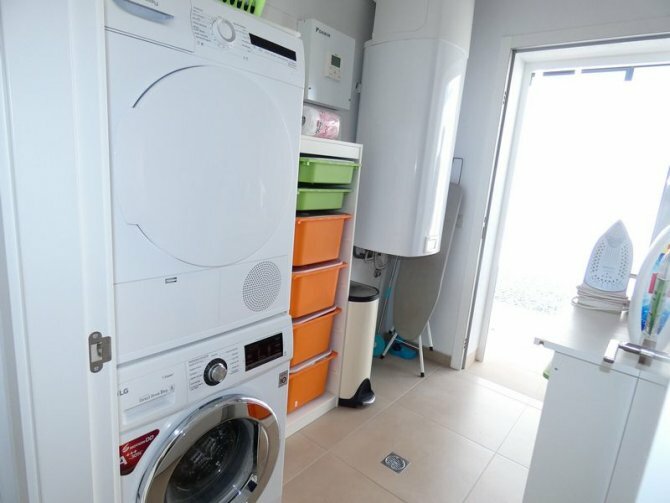 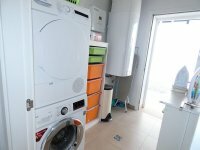 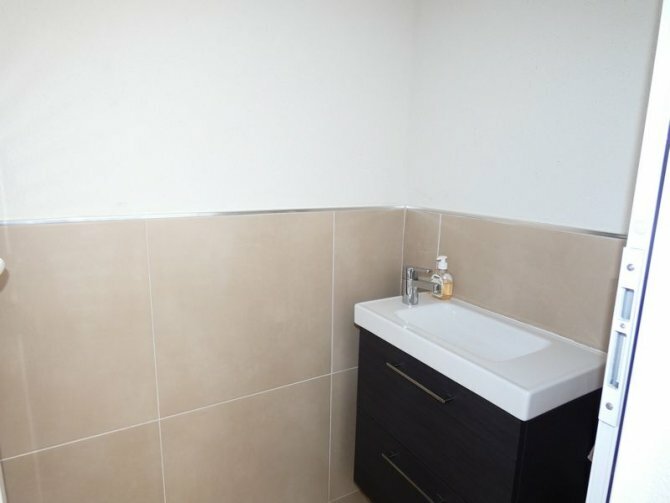 There’s also a spacious utility room with state of the art washing machine and a self-condensing tumble drier and a rear door giving easy access to outside for hanging and drying the laundry. 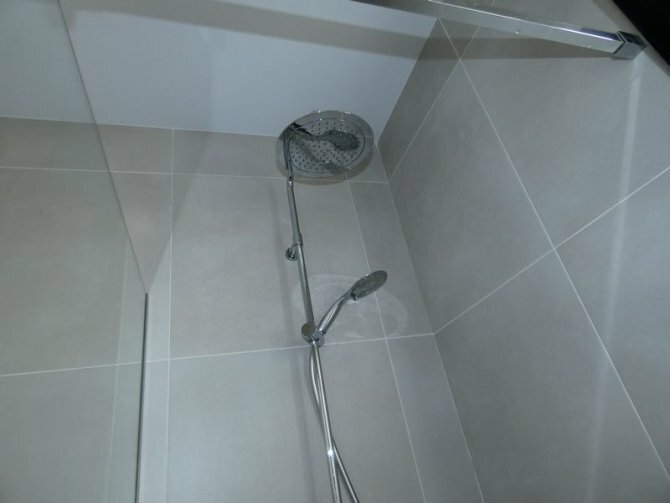 The property also benefits from a ground source heat pump which provides electric power to reduce utility bills, making the house very economical to run. 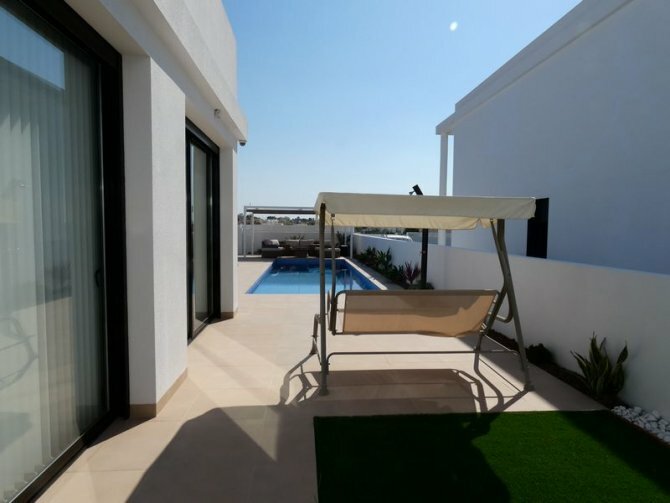 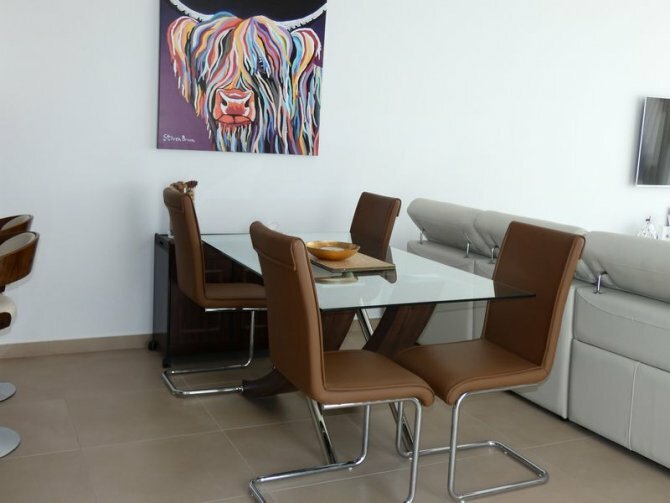 On top of all this, the luxury villa comes fully furnished with top of the range designer furniture, fixtures, fittings and outdoor furniture and made to measure vertical blinds in all of the rooms. 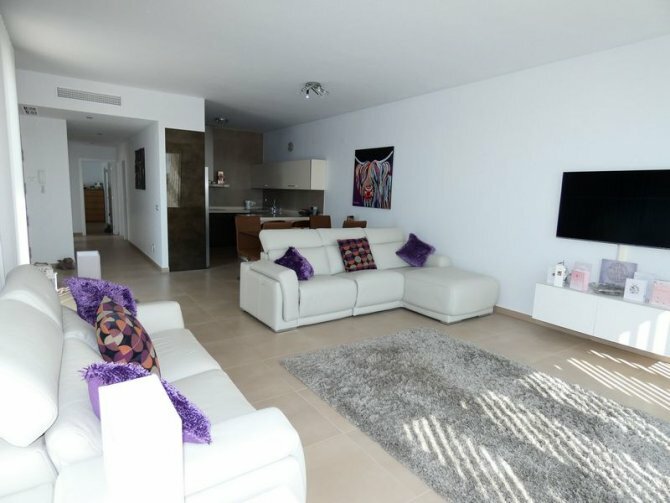 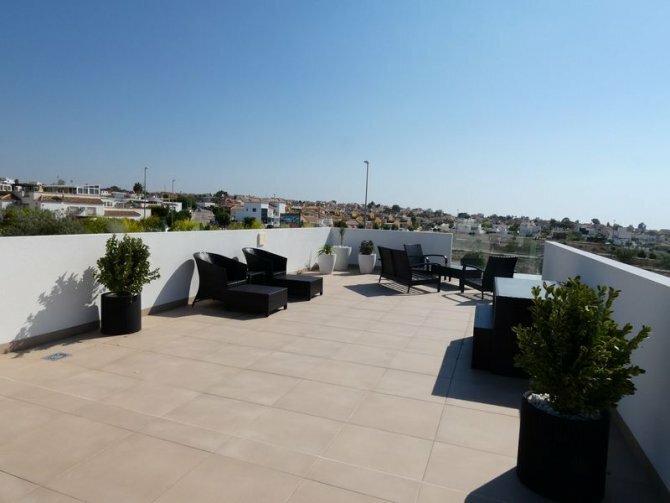 It is located only a 10 minute walk from amenities on the very sought after La Marina urbanisation and only a couple of minutes drive from the white sandy beaches of La Marina and Guardamar del Segura.